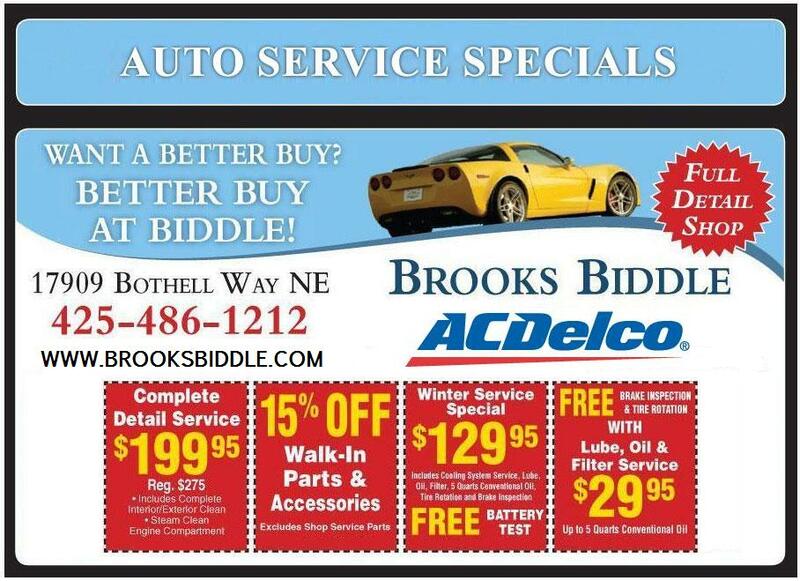 Brooks Biddle | Car Dealer serving Seattle and all areas around the Pacific Northwest! Brooks Biddle has been in business for over 45 years! | "If you want a better buy then you better buy at brooks biddle!" For some reason Yelp seems to want to filter all of our good reviews! Maybe it’s because we wont pay them. I don’t know but there sales department was quick to start filtering after we turned down their $299 ad program. They say it’s a filter but yet bad reviews make it by? So Just make sure you see them all! Also, as you can see our google, yahoo and City search reviews are all good! We are a member of the Better Business Bureau, with an impeccable reputation. Brooks Biddle Automotive wants people to know that they will get an excellent deal and great customer service when they come here! Brooks Biddle is now part of ACDelco which is a global leader in automotive replacement parts and related services and offers quality aftermarket products for all makes and models, including Ford, Chrysler, General Motors, Toyota and Honda, plus some original equipment replacement parts. ACDelco products can be found in more than 100 countries located on six of the seven continents and are sourced globally to meet the needs of the local markets, including maintenance and repair parts. ACDelco has nearly 100 years of experience in the automotive industry and is a brand of GM Service and Parts Operations, a division of General Motors. 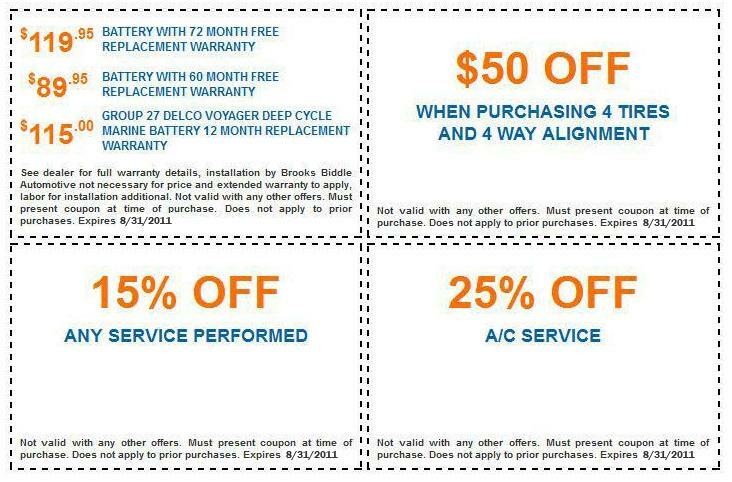 Brooks Biddle is proud to now be a part of ACDelco and looks forward to servicing even more vehicles at a better price. Our reputation means everything to us here at Brooks Biddle Automotive! We value every customer and try to make every customer happy! Here is a list of some of our review sites! Check Out Our Website For The Most Up To Date Prices On Vehicles! Go to www.Brooksbiddle.com for the best prices on pre-owned vehicles in Washington! We have an A+ rating with the BBB and have been in business for 45 years! 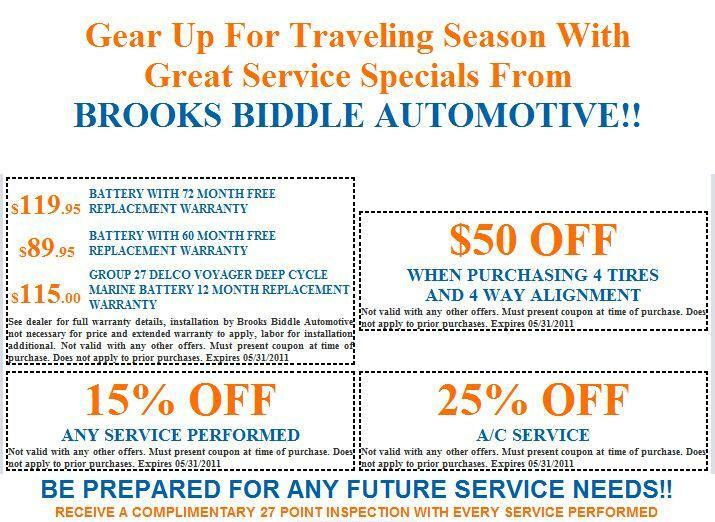 Here are some new service coupons from Brooks Biddle! Mention that you found us on WordPress to get another $100 off any vehicle purchase!